This wonderful book is an anthology or a collection of essays written by a variety of writers and researchers, grouped into 4 main topical categories and 457 pages in total. I've highlighted a few specific essays that I found particularly interesting however the entire book has plenty of additional essays that are certainly worth your attention as well. As always though, I've also included the full table of contents for those who may be interested (further below). I highly recommend this book. It's a must read for anyone interested in Lao studies. Buy a copy today! War Generation by Vatthana Pholsena - Talks about the young people from the countryside who joined the war effort and how it shaped the trajectory of their lives from the 1950s-1970s. It goes on to discuss how the war shaped and unified a generation of young Lao people especially those who were closely involved in the revolutionary effort. Socialist Pathways of Education: The Lao in East Germany by Nicole Reichert - This author shares with us the interviews she did with previous Lao students who had studied in Germany in the 1980s-1990s. I found this particularly interesting as I hadn't read anything yet on students sent to Germany, how they were selected, what their experiences were like, and the difficulties they encountered. It's worth noting that by the year 2000, there were an estimated 2,500 Lao students who had studied in Germany. The Political Ecology of Upland/Lowland Relationships in Laos since 1975 by Olivier Evrard and Ian G. Baird - Discusses the movement and re-settling of those from the uplands to the lowlands. It discusses why it was done and how, and the affects (both good and bad) of such changes on the population and the provinces in which these changes were made. The New 'New Battlefield' Capitalizing Security in Laos' Agribusiness Landscape by Michael B. Dwyer - Discusses how Chinese investments in Laos' agribusiness sector have shaped how farming and business is/was being done in some villages in northwestern Laos in the early 2000s. It also discusses below-the-radar land sales that circumvent government regulations, rubber plantations, government plans, and so fourth. Reaching the Cities: New Forms of Network and Social Differentiation in Northern Laos by Vanina Boute - This is another interesting essay on population movement within the country. 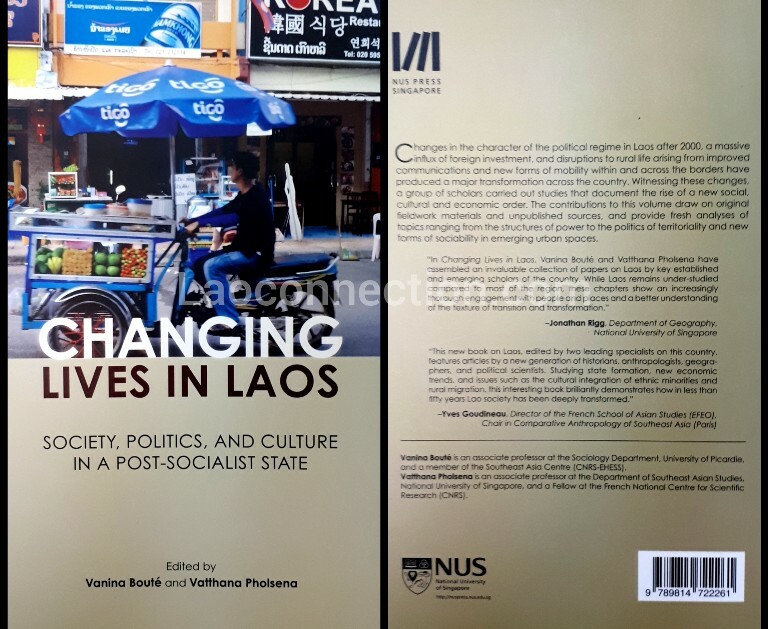 If you thought that mobility only meant moving from the countryside to the city, this article will open your eyes to other various levels of population movement that have been occurring in Laos - from back country to village, from village to the city, from across provinces. It also discusses the stories of voluntary and involuntary (forced) population movement. Rubber's Affective Economies: Seeding a Social Landscape in Northwest Laos by Chris Lyttleton and Yunxia Li - Chinese-backed rubber plantations were among the first ever large scale agribusiness farming done in Laos. The story of how this came to be is interesting. The essay goes on to discuss how business with the Chinese has shaped Lao perceptions of wealth and about how to gain wealth though links with China. It also has a subchapter on guanxi, the Chinese word to describe personal social networks, doing favors, and gaining favors.